There’s always loads going on at the Active Life Centre @ Coxhoe, find out more by reading Active Life Centre news. If you want to find out even more then check out the rest of the Active Life Centre @ Coxhoe website, where you can access a full gallery of all the latest photographs of the centre, as well as membership information, classes, the gym, event hire and youth zone, plus much more. Active Life Centre needs your vote. Your community needs your help! 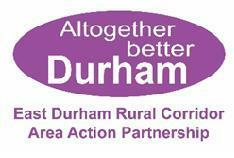 The Active Life Centre have applied for funding to the East Durham Corridor AAP ‘It’s Up 2 U Fund’ and need you to come to the organised event to vote for them. The focus of their funding bid is the Centres School Holiday Activities Programme. If the Centre is successful it will mean that they can provide full day activies for the next year. However, it needs your votes to secure success. Voting takes place at the It’s Up 2 U community event at Trimdon Community College on Saturday 25 November 2017 from 10.00 am to 2.00 pm. Refreshments will be available to purchase on the day. There’ll be various FREE activities such as meeting Santa Claus, face painting and NHS health checks. Please, Please go along and vote! View the latest news section of the Active Life Centre @ Coxhoe website to keep up-to-date with the latest news and information. Lose weight. Try T.B.C (Total Body conditioning), X-Biking, Body Combat, or FitSteps! Metabolic Effect Training, or X-Biking. Try a gentler workout because you’re new to exercise – how about Easy Aerobics or Active Life Circuit. For all fitness levels and ages -X-Biking classes – the future of group cycling. Not to be missed! For information about all of the times and dates of the classes running view the current class timetable section of the Active Life Centre @ Coxhoe’s website. Classes are being added to the timetable all the time, so check back often to see what’s on offer.It is recommended to reserve a space in all of the classes up to one week in advance by calling us on 0191 377 1789. View the current Membership fees in the membership section of the Active Life Centre @ Coxhoe’s website for further information. The Active Life Centre @ Coxhoe offers a variety of options for space for rent for community meetings, training and workshops, children’s birthday parties, sports, fitness, dance, and other activities. For further information view the event hire section of the Active Life Centre @ Coxhoe’s website. Coxhoe Leisure Centre is one of Coxhoe’s most valuable assets and is run by Members of the community. Located at the end of Linden Grove adjacent to the park it is a focus for sporting and leisure activities to suit all. Melanie Adams has over 25 years of professional experience, in both the private and voluntary sector, in the management of fitness and sports facilities and community programmes. Originally from Whitley Bay, Melanie spent 20 years living and working overseas in a variety of health and fitness environments in Bermuda and USA. After spending several years working in high end health spas and corporate fitness settings teaching exercise as a class instructor and personal trainer, Melanie moved into the voluntary sector working for the YMCA in Boston Massachusetts for 10 years before relocating back to her home county 4 years ago to work for YMCA North Tyneside. With her work for the YMCA Melanie has been responsible for developing and managing a wide range of activities and community programmes for children, young people, adults and seniors. These include fitness and wellness programmes, children’s holiday camps, GP exercise referral schemes, sports leagues, performing and visual arts, as well as positive activities for mental health and well being. Coxhoe Kidzone and Skidzone is located just behind Coxhoe Leisure Centre and offers a variety of activity area’s covered by CCTV. The Kidzone is a picnic area that also includes extensive play stations including a zipwire, climbing wall, swings, roundabouts and seesaw. The Skidzone has a cycling proficiency area with road layout includSkidzone MBXing signs, a cycle track with obstacles balances and jumps. The skate / BMX park has extensive ramps, jumps, rails and half pipes and is covered by floodlighting for evening use. There is also a Multi Use Games Area for football / basketball. If you want to keep healthy then Coxhoe Leisure centre certainly is ‘fit for purpose’.